MAT Orange Lansing Area Rug - Brown - Swatches may be available. Click X on bottom right to enlarge photo. Hold finger on image to move image. Hand Woven. Contemporary. 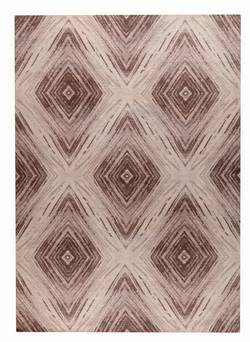 In a daring red or a neutral beige, the Lansing rug is fit to be displayed it in a wood floored entry or a guest bedroom for a distinctly masculine appeal. 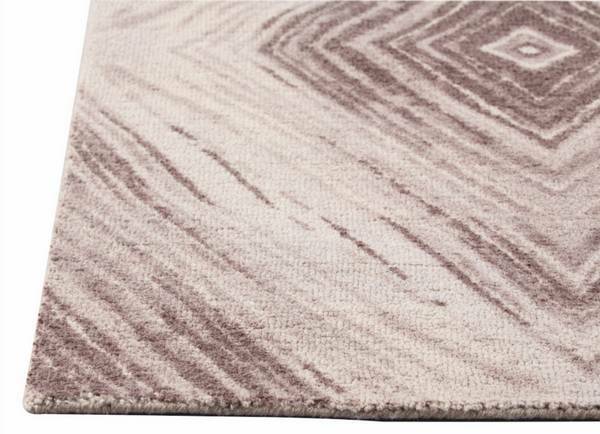 Artisan-created in India, this intriguing rug features an eclectic diamond design that is both handsome and captivating. Available in many sizing options, this rug is sure to update the look of any space that you showcase it in. 100% Blended New Zealand Wool. Printed. Pile height is .375 inches. Made in India. SWATCHES: Colors may vary from images shown. We recommend ordering swatches before placing an order. Click on check box to select product. Recommended. Our swatch program allows you to return rug samples within 30 days for a full refund.